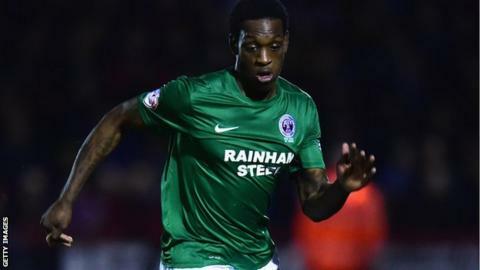 League One leaders Walsall have signed former Aston Villa midfielder Isaiah Osbourne on a one-year contract. The 27-year-old free agent has been without a club since leaving Scunthorpe United at the end of last season. "He'll certainly improve us with his ability and experience in midfield," said boss Dean Smith. "He gives us another option in that department." Osbourne may make his debut in Walsall's home match with Bury on Saturday. The Saddlers will be without Philippines goalkeeper Neil Etheridge and Cyprus defender Jason Demetriou, who are both away on international duty. Since being handed his Villa debut by Martin O'Neill in October 2006, Osbourne has scored three goals in 178 appearances for Nottingham Forest (loan), Middlesbrough (loan), Sheffield Wednesday (loan), Hibernian, Blackpool and Scunthorpe United.